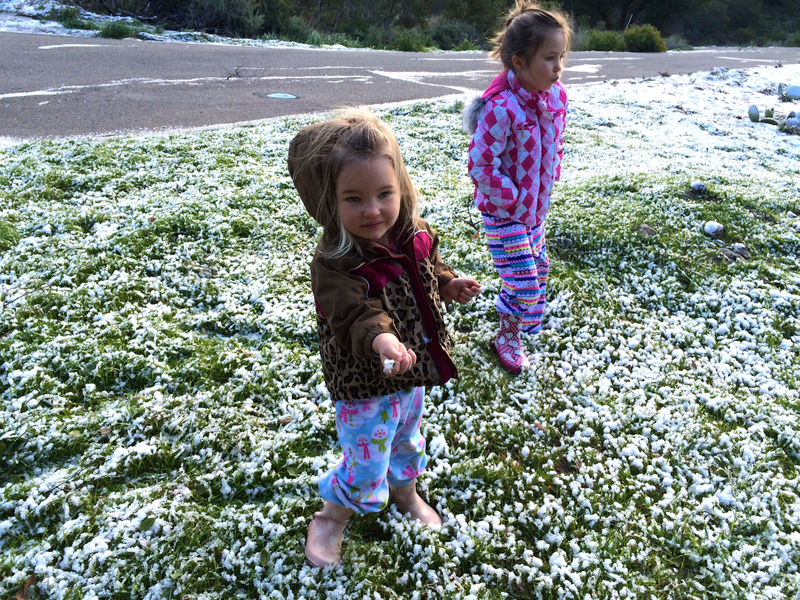 Residents around Orange County woke up New Year’s Eve morning to a rare sight: SNOW! 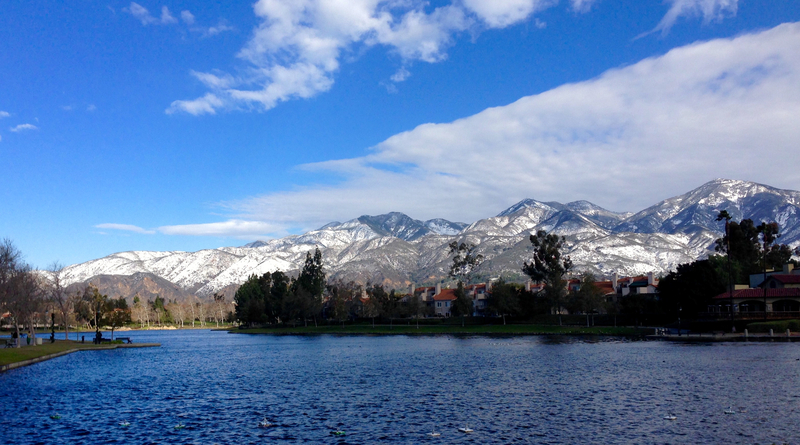 And this snow wasn’t just high atop Saddleback Mountain either. 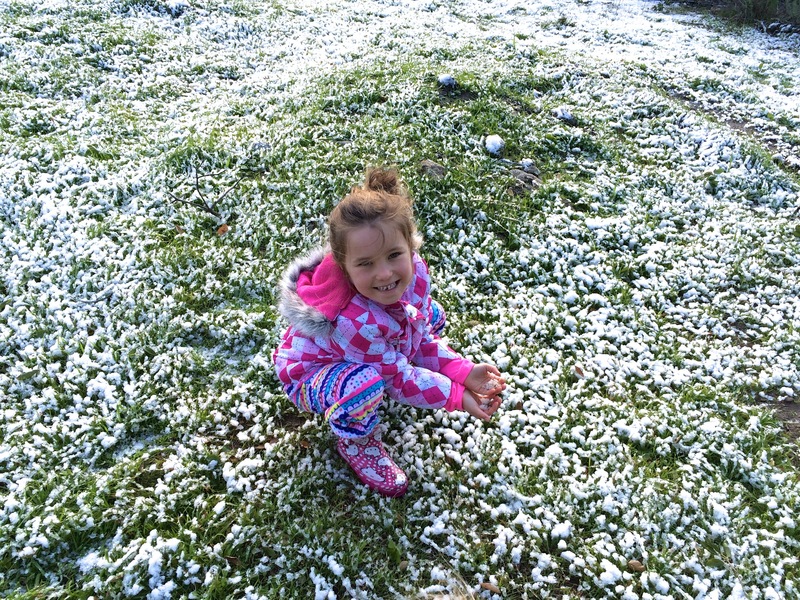 For the first time in many residents’ memory, the snow level was low enough to actually play in! Amazing! When my husband called me at 6:45am, fifteen minutes after he left for work, I thought it was an emergency (since he doesn’t usually call at that time) and frantically answered my phone. No emergency here; other than that he told me to throw the kids in the car as soon as they woke up and drive the 241 to get a good look at the mountains before the snow started melting. We did just that; teeth unbrushed, rain boots and jackets over jammies, and with just a quick stop for hot chocolate (because snow is more easily found with hot chocolate), our snow hunt commenced. 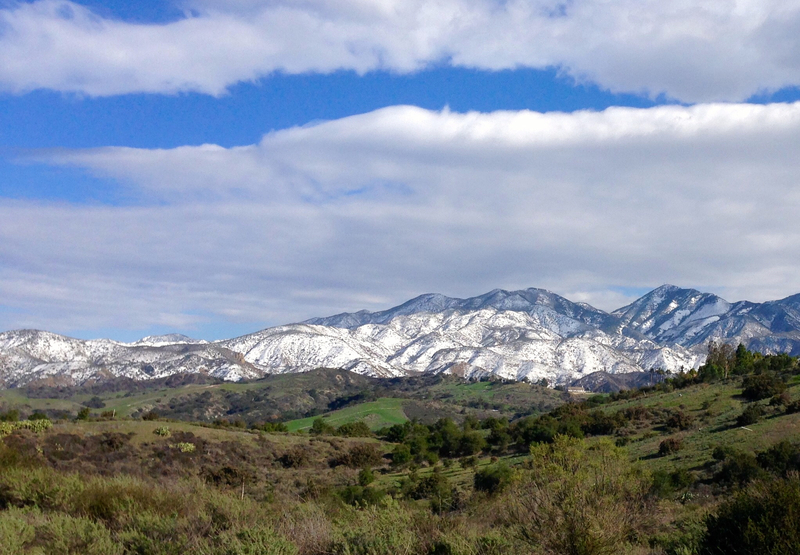 We drove North on the 241 and beheld a marvelous view of the Saddleback Mountain range. We made pit stops at a few places that seemed like they might be high enough to get a dusting. 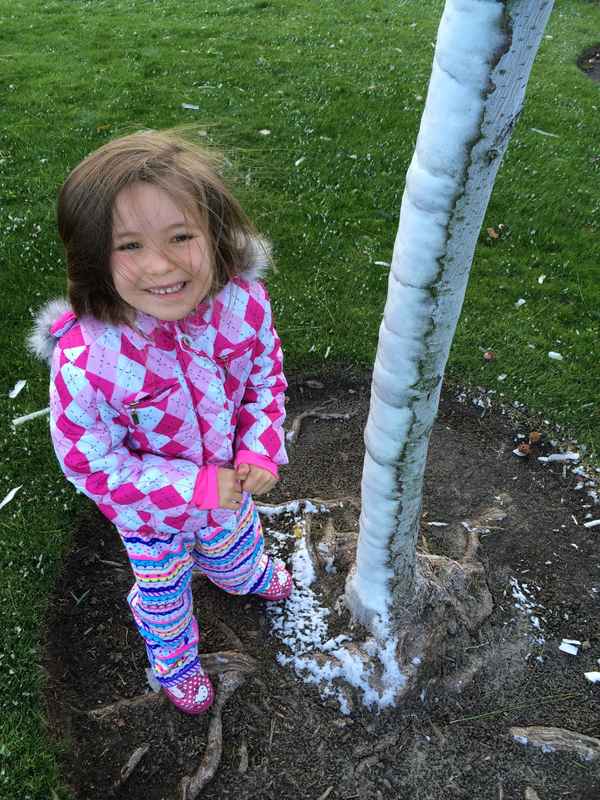 Concourse Park in Portola Hills was our first success; ice on the grass blades and snow still stuck to the sides of trees! From there we wound through the canyon and hit jackpot on Live Oak Canyon Road. Since it was just now only around 8am it was extremely cold and windy; probably the chilliest I’ve ever felt in OC. My two year old could barely keep on her feet when the big gusts whipped up the canyon. 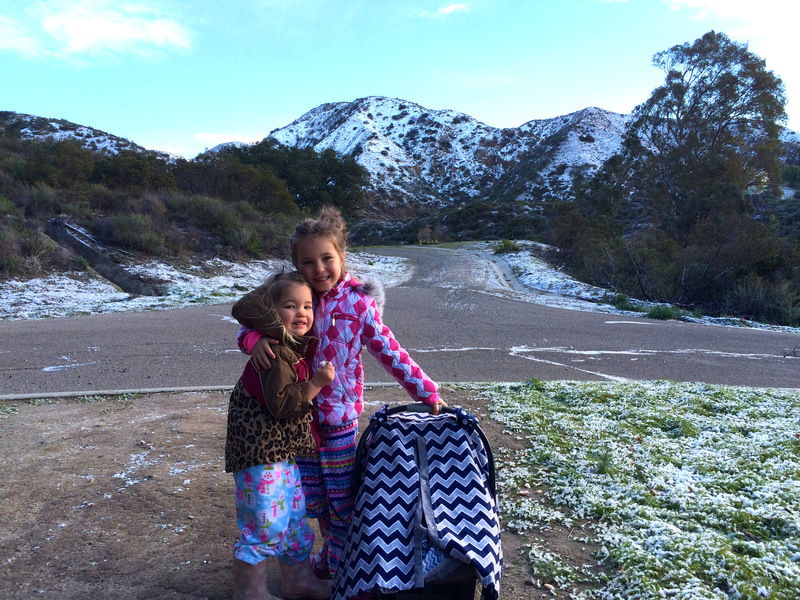 We arrived home around 9am, having said, for the first time, that we played in the snow in Orange County! 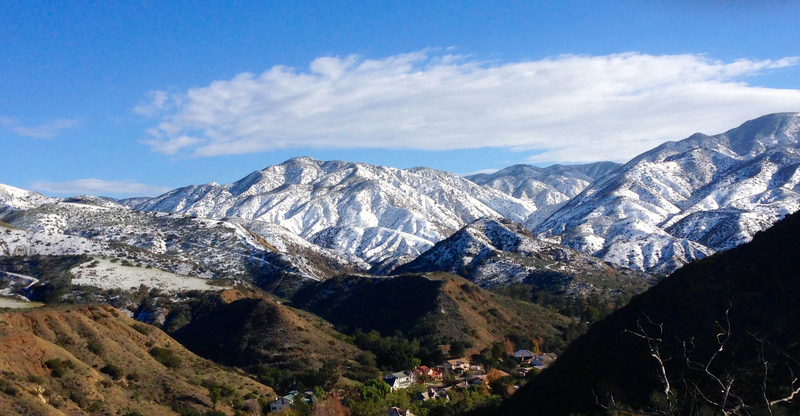 Along with Live Oak Canyon Road we’ve also heard reports that snow was readily available in the hills above Robinson Ranch and in Modjeska and Silverado Canyons. So, the next time it snows in OC – maybe in about 40 or 50 years – you know where we’d suggest heading, first thing in the morning, teeth unbrushed, and equipped with hot chocolate.